Yesterday the FBI raided the office of Donald Trump's personal attorney, Michael Cohen. 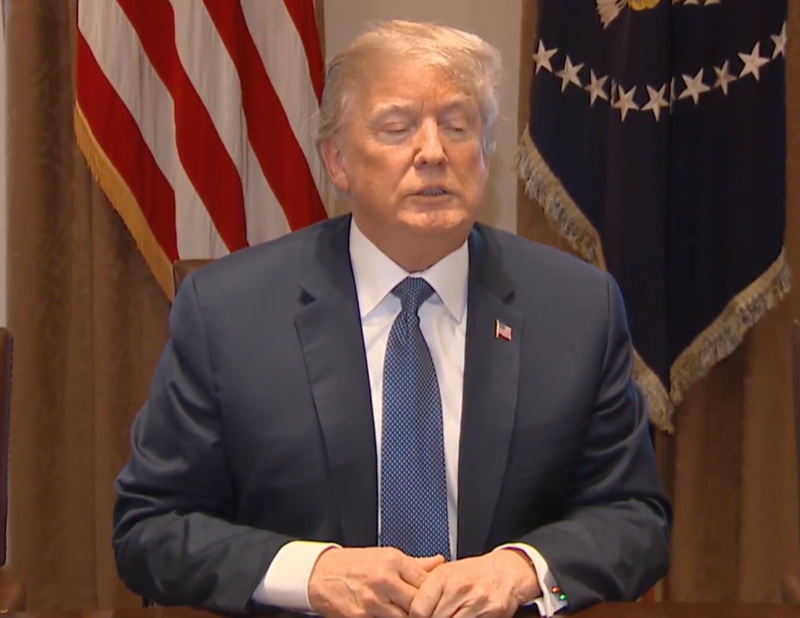 A few hours later, while meeting with senior military leadership, the President commented on this event - as well as on the recent mass-poisoning of civilians by Bashar al-Assad in Syria. What follows is a partial nonverbal analysis of Donald Trump during this statement. The President begins the meeting by saying, "So I just heard that - they broke into the office of one of - my personal attorneys — Ω good man. And, ah, it’s a disgraceful situation. It’s a total witch hunt. I’ve been saying it for a long time. I’ve wanted to keep it down. We’ve given, ah, I believe, over a million pages’ worth of documents to the Special Counsel." 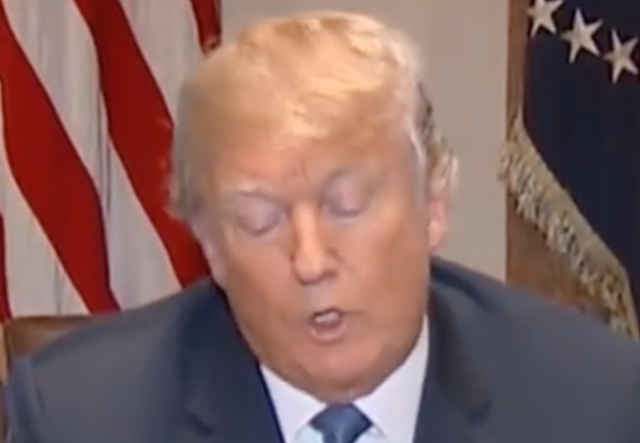 Just before he says, "... a good man ...", Donald Trump elevates his both of his eyebrows - however, his right eyebrow elevates much more than his left. Such asymmetrical (or unilateral) eyebrow elevation indicates doubt/disbelief. Importantly, this nonverbal signal also occurred right after he said, "So I just heard that they broke into the office of one of my personal attorneys". Thus Donald Trump's disbelief could be directed toward either one of these statements (e.g., doubting Cohen is a good man, or in disbelief that the FBI raided Cohen's office). From a paralanguage/statement analysis perspective, Trump's use of the words, "broke into" is inaccurate and hyperbolic - as it was, of course, a legal act by the FBI. Additionally, notice that the President didn't say "FBI" - rather he used the nonspecific plural pronoun, "they". Use of the word "they" in this context, without at least first saying "FBI" - indicates the President's low confidence/emotional discomfort in his position. Moreover, it's difficult to interpret the President's statement of, "I’ve wanted to keep it down" - as anything other than a personal desire to Obstruct Justice. A Lip Curl involves the lips protruding outward - which primarily happens while speaking. The lips acquire a momentarily and characteristic flaring-outward morphology as they extend away from the teeth in a brief exaggerated motion. 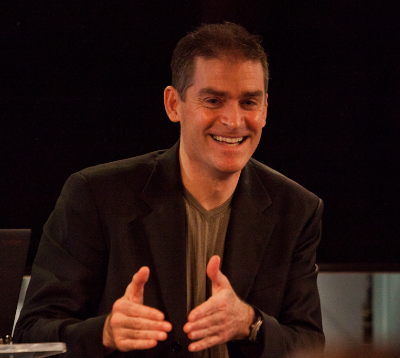 A lip curl indicates the alpha emotions of False Bravado, Hubris, Hyperbole, and Braggadocio. Additionally, there's often a component of Sarcasm present. • "Mr. President, did you have an affair with Stormy Daniels?" • "Why don't you just fire Mueller?" 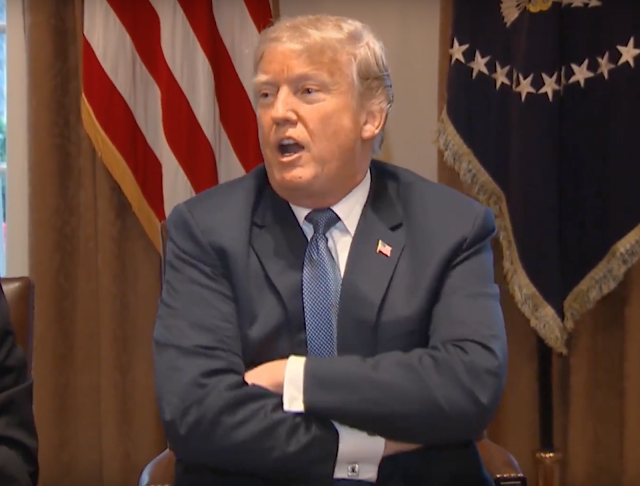 The President uses this same posture throughout a large portion of the video. 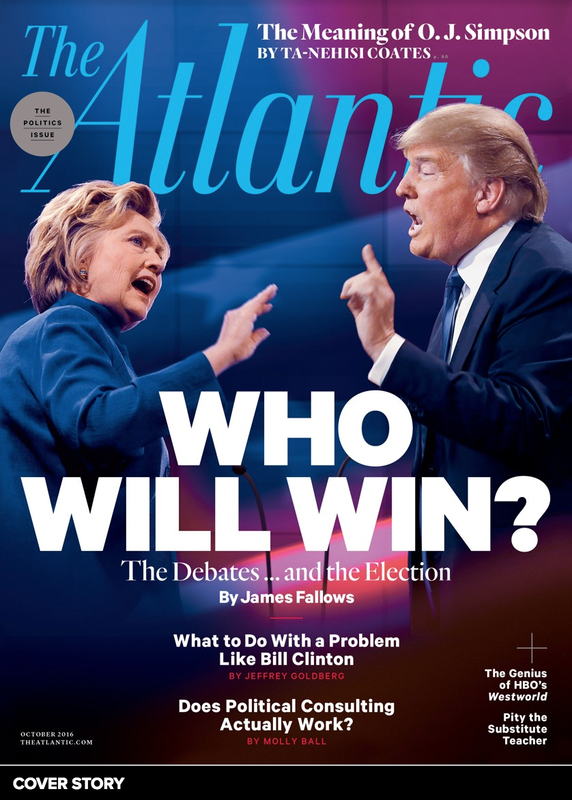 Crossing the arms - and crucially with one's hands in fists and hidden - is a profound and classic sign of defensiveness-related anxiety. This projects a highly beta emotional tone of low confidence and insecurity. 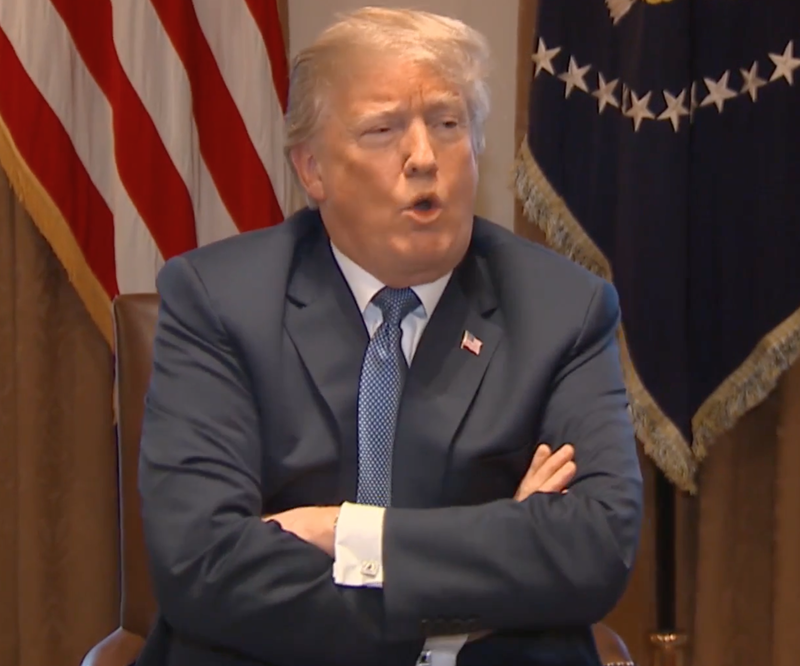 In the context of public appearances, it's extremely rare for any President to cross their arms - (On 17 November 1973, President Nixon crossed his arms just after he said, "Well, I am not a crook. I've earned everything I've got!"). 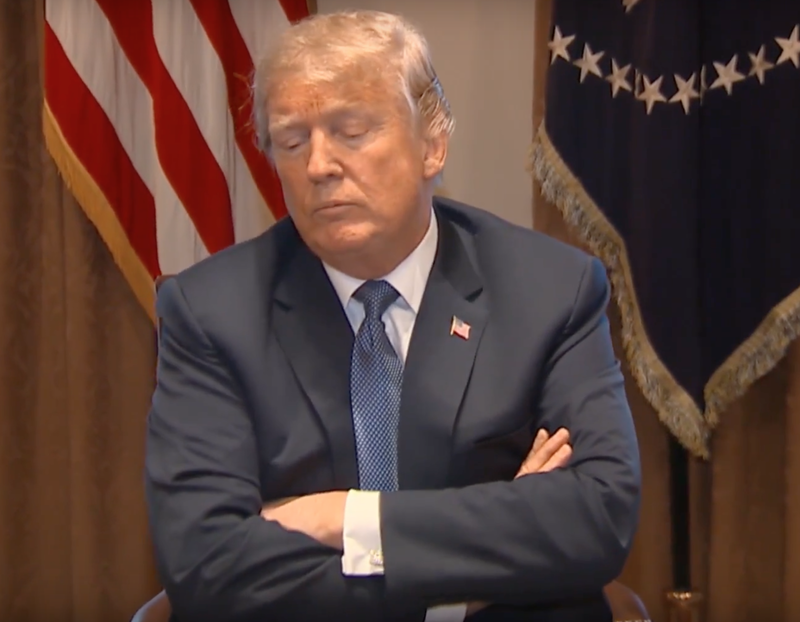 Yet President Trump displays this body language frequently. Thus, it's not unreasonable to consider the very real possibility that Donald Trump has a movement disorder or a tremor-like condition (either a medical condition of the Central Nervous System or a secondary side-effect from a drug). Intriguingly, his arms remained crossed - but his right hand becomes partially exposed when he begins talking about Syria and American Military 4:37. This display demonstrates that his relative comfort level has momentarily increased. 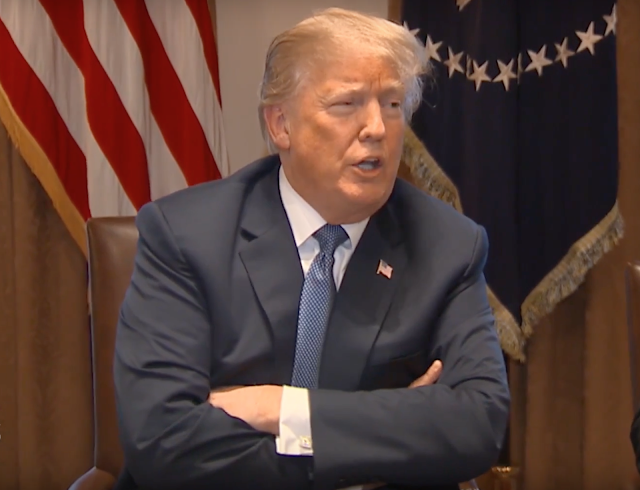 And although his right-hand retreats back to cover - with his arms remaining crossed - his index finger remains extended (4:47 - 4:49) as he says, "... and we’re making a decision as to what we do with respect to the horrible attack that was made near Damascus." In this moment, the President was essentially pointing his right index finger at Bashar al-Assad. 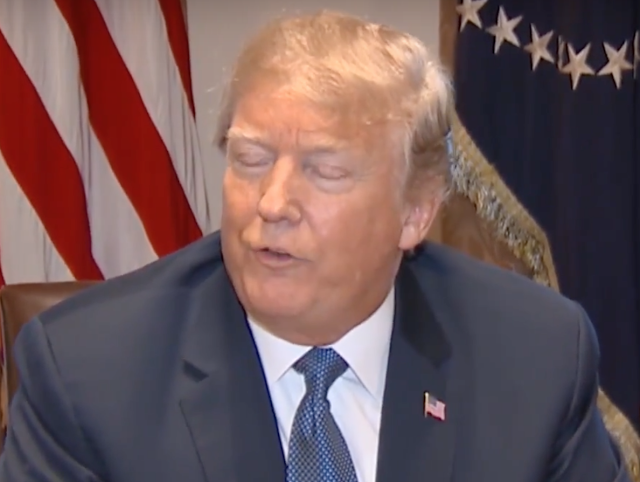 At 5:34, President Trump again slips into a more comfortable mental state - with his right hand again being exposed as he says, "... so - we're going to make a decision tonight, or shortly thereafter..." (with respect to military action on Syria). Beginning at 7:12, Trump continues, "One of the things they said, 'I fired Comey'. Well, I turned out to do the right thing, because you look at all of the things that he’s done and the lies, and you look at what’s gone on at the FBI with the insurance policy and all of the things that happened - turned out I did the right thing. Ah, But he signed - as you know, he also signed the FISA warrant. So Rod Rosenstein, who’s in charge of this, signed a FISA warrant, and he also, he also f- [stutter] signed a letter that was - essentially saying to fire James Comey. And he was right about that. He was absolutely right." 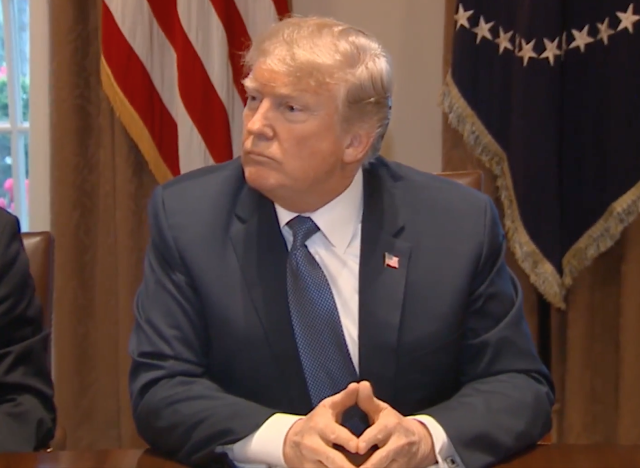 During 7:23 - 7:30, just after the President said, "... and you look at what’s gone on at the FBI ...", for about 7 seconds, the President displays a nonverbal signal which is very rare for him: He grasps his right index and middle finger with his left hand. This nonverbal signal indicates a very high level of anxiety. • The FBI raid on Donald Trump's personal attorney, Michael Cohen, has the President extremely worried. • The President's personal feelings are strongly influencing his military decision making. Donald Trump is more comfortable talking about an act of war, than he is regarding Michael Cohen, Stormy Daniels, James Comey, Robert Mueller, or the FBI. • President Trump very directly admitted his desire to Obstruct Justice when he said, "It’s a total witch hunt. I’ve been saying it for a long time. I’ve wanted to keep it down."